Lumens per watt. Why does it matter? Higher the wattage of a bulb, the brighter is the light. The statement holds true for the almost extinct incandescent bulbs, however, it’s not relevant in case of LED lighting. The efficiency of an LED bulb is measured in ‘Lumens per watt’ which shows how much light or lumens a bulb is capable of producing using one watt of electricity. To better understand the concept of Lumens per watt, we first need to understand the difference between a lumen and a watt. If you have had incandescent bulbs in your home earlier, you might remember the times when you choose a 100-watt bulb over a 60-watt bulb for a space that needed more lighting. More the wattage of an incandescent bulb, the more the brightness and thus more the power consumption. However, in case of LED bulbs, wattage is no more a norm, as an LED bulb can produce more lumens using lesser watts depending on its type and design. This means that one must check for lumens per watt instead of just the wattage when buying LED bulbs. Let us take a deep dive into the concept of lumens per watt and to paint a better picture, we have shown the three generations of bulb in a comparative manner as per the average industry standards. Say a standard 100-watt incandescent bulb uses 100 watts of electricity to deliver 1600 lumens. Its efficiency comes out to be 16 Lumens per watt. First, let us replace it with 30-watt CFL bulb equivalent and if you calculate the efficiency now, it increases to 53.33 Lumens per watt. Now if we replace it with a 15-watt LED bulb, the energy efficiency increases drastically to about 106.66 Lumens per watt. This clearly shows that a 15-watt LED bulb can produce as much brightness as a 100-watt incandescent bulb while consuming very less energy, making it almost 7 times more efficient than the 100-watt incandescent bulb it is replacing. Switch to Smart. Switch to LEDs. 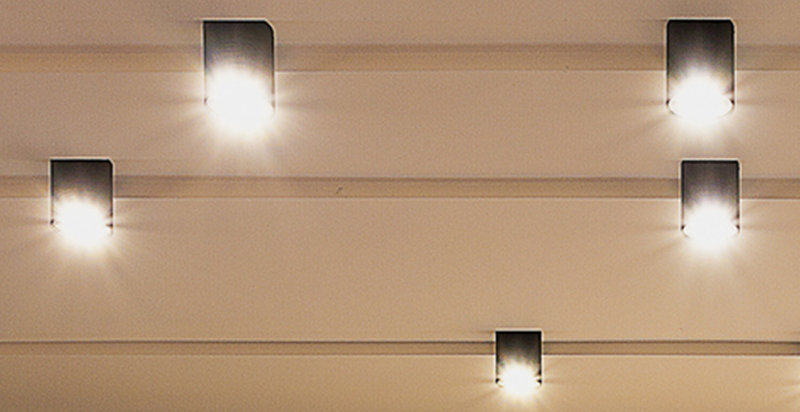 With LEDs offering a range of benefits including energy efficiency, longevity and greater design flexibility, lighting is now no more a necessity but a lifestyle requirement. The LED lightbulbs generally have a lifespan of 25,000 hours or more, last longer than conventional lighting and offer 80% energy savings, which is making them a preferred choice of lighting. Decreasing prices, increasing efficiency, and government policies and initiatives have further given a boost to LED adoption throughout the country in the last couple of years. However, it is important for the consumer to choose quality LED bulbs to get true value for their money. Earlier, there were no standardised norms for LED bulbs and thus people had to buy anything they were offered. Understanding the quality of the LED bulbs was a challenge. Last year, BEE, under its LED labelling programme, started rating bulbs on a five-star scale for energy efficiency on parameters which included ‘Lumens per watt’ and other safety requirements like photo-biological safety. As a leading brand in the industry, Orient Electric became the first Indian lighting brand to receive BEE 3-Star rating for its 5W, 7W & 9W LED bulbs, which ensures that these bulbs deliver more than 100 Lumens per watt as compared to other bulbs in same wattage that produce 70-85 Lumens per watt. Switching from conventional lighting to LED at your home might seem like a very small step towards energy efficiency but when every household in India will make the same switch, the impact will be huge. Replacing just one inefficient bulb (average usage of 5.5 hours daily) with an LED bulb can give annual cost saving of around Rs. 520 while saving 130 kWh of annual energy and reducing annual CO2 emissions by 0.11 tonnes. If you already know, there are approximately 24.8 crore households in India. Think of the big picture now! !